If you’re on the hunt for an SUV that does more than just pack in plenty of cargo, you’re in the right place. Both the 2018 Volkswagen Tiguan vs. 2018 Audi Q5 go above and beyond to give SUV drivers in Irving, Grand Prairie, Grapevine, and Dallas what they need and more out of their next vehicle. But how will they choose between them? 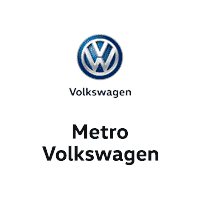 We at Metro VW are here to help you do just that with this detailed comparison. Read ahead to see which model is a better fit for you! The 2018 Volkswagen Tiguan and the 2018 Audi Q5 are both standardly powered by a 2.0L 4-cylinder engine that comes paired with an automatic transmission. This duo gives both models the capability to achieve an efficient EPA-estimated 27 highway MPG1. One other feature these two vehicles have in common is their all-wheel drive systems. All-wheel drive gives you unparalleled control in all kinds of weather and driving conditions. One of the major differences between these two vehicles, however, is the type of gasoline they require. With the Audi Q5, you’ll have to fuel up with premium gasoline. The VW Tiguan, on the other hand, will give you a bigger bang for your buck at the gas station in more ways than one—not only is it efficient, but it also runs on regular fuel. As SUVs, the 2018 Volkswagen Tiguan and the 2018 Audi Q5 are designed to handle a lot of cargo and passengers. However, you’ll find that the VW Tiguan has more room all around. This model standardly sports five seats but has the capability to hold seven if you so desire it to, whereas the Q5 maxes out at five seats. Additionally, the VW Tiguan offers a respectable 38.7 inches of rear legroom and 73.5 total cubic feet of cargo space if you take advantage of the rear seats’ foldability. Compare this to the Q5’s 37.8 inches of rear legroom and significantly less 60.4 cubic feet of total cargo space. Even with all of its seats in place in its five-seat trim option, the VW Tiguan can handle 37.6 cubic feet worth of cargo. In comparison, the Q5 only offers 26.8 cubic feet behind its rear seat. Efficiency and interior space are meaningless if your vehicle doesn’t also keep you safe. Luckily, you won’t have to worry about that with the 2018 Volkswagen Tiguan. This model offers a plethora of active and passive safety features that will have your back. 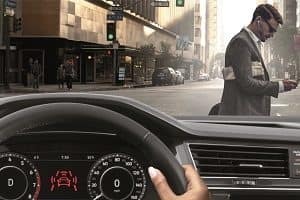 The VW Tiguan standardly offers an advanced airbag system, traction control, and a rear-view camera. Opt for a number of available active safety features for even more confidence like Adaptive Cruise Control, Blind Spot Monitor, Lane Assist, Park Distance Control with Maneuver Braking, and Front Assist. Unfortunately, there are several features mentioned above that the 2018 Audi Q5 doesn’t offer, starting with the VW Tiguan convenient Overhead View Camera which gives you a 360-degree bird’s-eye view of your surroundings. In the Q5, you’ll just have to settle for a rear-view camera. You will still have Front Assist like in the VW Tiguan, though. As you can see, the 2018 Volkswagen Tiguan has the whole package while in comparison, the 2018 Audi Q5 only sports a few impressive features. Get behind the wheel and experience the Tiguan for real at Metro VW. Shoppers in Irving, Grand Prairie, Grapevine, and Dallas can schedule a test drive by giving us a call today! 1 22 city/27 highway MPG (2018 Tiguan 2.0L, 8-speed automatic transmission). EPA estimates. Your mileage will vary and depends on several factors, including your driving habits and vehicle condition.